NGINX (short for Engine X) is a free, open-source and powerful HTTP web server and reverse proxy with an event-driven (asynchronous) architecture. It is written using C programming language and runs on Unix-like operating systems as well as Windows OS. It also works as a reverse proxy, standard mail and TCP/UDP proxy server, and can additionally be configured as a load balancer. It is powering many sites on the web; well known for its high-performance, stability and feature-rich set. First update the system software packages to the latest version. 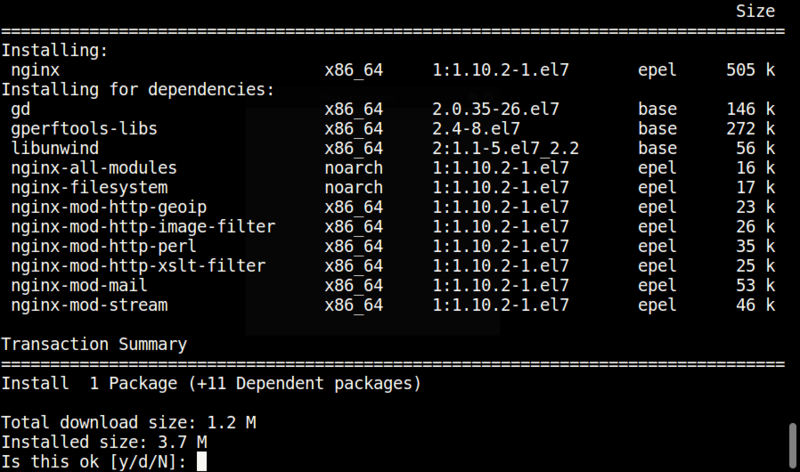 Next, install Nginx HTTP server from the EPEL repository using the YUM package manager as follows. By default, CentOS 7 built-in firewall is set to block Nginx traffic. To allow web traffic on Nginx, update the system firewall rules to permit inbound packets on HTTP and HTTPS using the commands below. Now you can verify Nginx server by going to the following URL, a default nginx page will be shown. The default server root directory (top level directory containing configuration files): /etc/nginx. 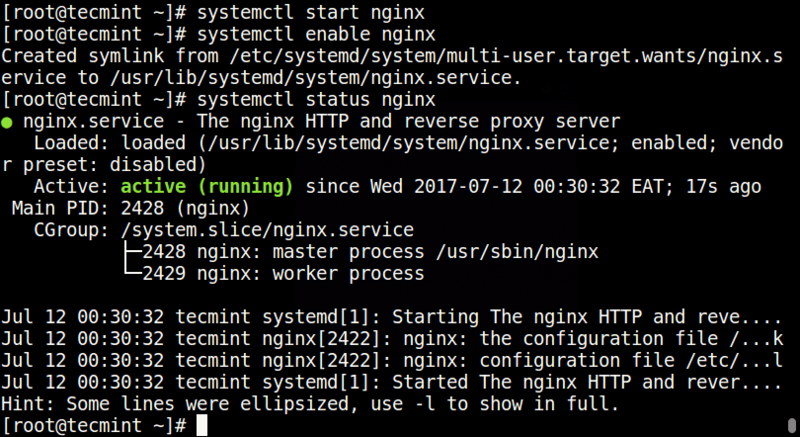 The main Nginx configuration file: /etc/nginx/nginx.conf. Server block (virtual hosts) configurations can be added in: /etc/nginx/conf.d. The default server document root directory (contains web files): /usr/share/nginx/html.